When somebody we love dies it is common that we honour their memories on specific dates such as birthdays and anniversaries. In many countries there are annual festivals that bring people together to remember their loved ones and to celebrate their ancestry. This blog, written with assistance from Homeland International, explores 7 of these “festivals of the dead” from around the globe and the history behind them. Qingming Festival or Tomb-Sweeping Day is a one-day festival held in China during April. The festival has been celebrated for over 2000 years and commemorates the great remorse felt by King Chong Er after he killed Jie Zi Tui. Jie, his loyal servant who kept him safe at great cost when others attempted to do him harm. When Jie retired from the Kings service, he moved into the wilderness with his mother, refusing the Kings invitation back to the palace. This caused a fit of great anger in the King and he ordered for Jie’s home to be burnt to the ground, which cost Zie and his mother their lives. When Chong Er had calmed from his rage, he was filled with regret and erected a temple in honour of his once loyal companion. Today, those taking part in Qingming will visit the graves of loved ones to tidy them and pray. Gifts and offerings are left and sometimes the graves will be decorated with colourful paper. Willow branches are carried or placed at the doors of homes to ward off evil spirits. Bon Festival is a Japanese Buddhist festival that has been in existence for over 500 years. The festival originates from the tale of Mokuren, a disciple of Buddha, who looked into the spirit realm to see his mother was suffering of great hunger and thirst in the afterlife. Mokuren was ordered by Buddha to leave offerings for Monks on their summer retreat and upon doing this, he saw his mother become content in the spirit world. Mokuren was overjoyed and danced. Today that same dance, now called Bon Odori, is re-enacted. In modern times the Bon Festival is a three-day event where people will leave offerings to the spirits of their ancestors who are thought to visit the family home. Dia de Muertos, also known as Day of the Dead is possibly the most well-known of festivals that celebrate those who have passed away. While it is a Mexican tradition, the energetic and vibrant festival has been embraced by many other nations worldwide. 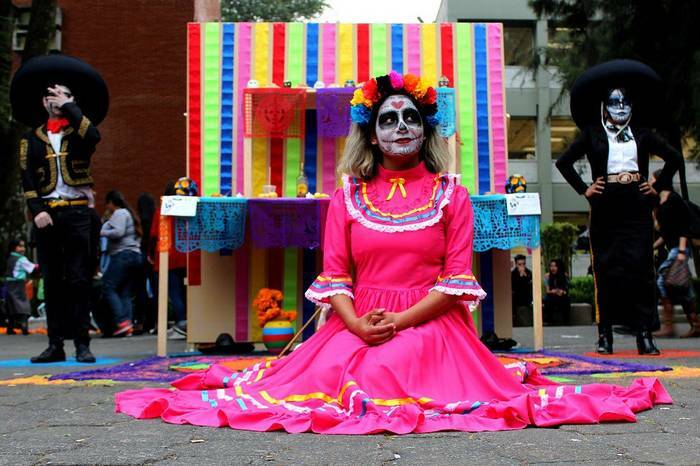 During Dia de los Muertos, Mexican families will create “ofrendas” a kind of altar where they place photos of all deceased members of their family, along with gifts of food and drink. The photos remind members of the family of those who have passed and these strong memories allow the deceased spirits to come back to visit for the evening and join in the familial celebrations once more. The image of a colourful skull, sometimes with a floral design has become synonymous with Dia de Muertos and it is common for those who are celebrating to paint their faces to reflect this or dress in full skeletal costumes. Chuseok is a large harvest festival celebrated in both North and South Korea. The celebrations rival that of American thanksgiving, but this Buddhist celebration also features a large number of ancestral memorials. Charye is a religious service held in the family home, that shows a deep gratitude to the spirits of those who have died for watching over those who are living. It is common that four generations will be remembered and honoured. During Chuseok, the graves of those who have passed will also be cleaned and guarded by members of the family. 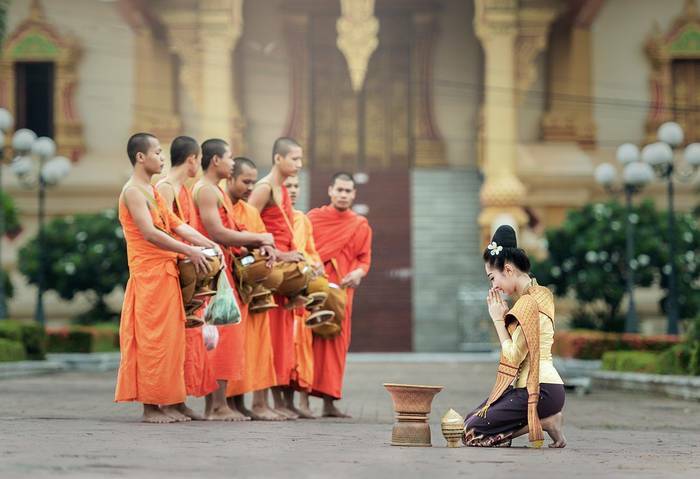 Pchum Ben or Ancestors Day, takes place across 15 days in Cambodia where seven generations of ancestors will be remembered. Whilst remembering those who were good throughout their lives is part of the festival, the majority focuses on those who had misbehaved during their time on earth. Buddhist Monks will chant continually throughout the night, awaiting the opening of “the gates of hell”. When the spirits of those who had died re-enter our realm they are met with offerings left by those who are alive. It is believed that the pureness of those who are living can be transferred to those who have passed, so they may leave purgatory behind and move on to heaven or re-incarnation. Totensonntag also know as Sunday of the Dead, is a German festival of remembrance that takes place in November of each year. The festival began in 1816 under the order of King Frederick William III of Prussia. The day is known to be a quiet and reflective one, where people gather together to light candles in memory of those who have passed on. In some cities there is a ban on music and dancing throughout the day. 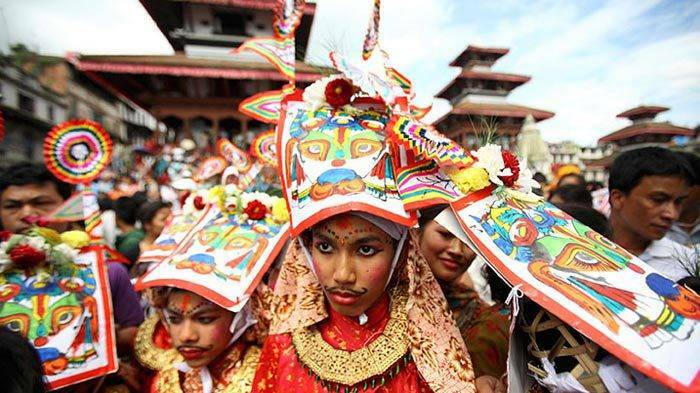 Gai Jatra, translated as “Cow Festival” is celebrated mainly in Kathmandu by the Newar people of Nepal, The festival focuses on celebrating the lives lived, and hence erasing all painful memories asscociated with their death. The Cow is a respected animal within Hindu communities and those who have lost someone over the previous year will walk in a procession alongside a cow. In recent years, those who do not own cows have choosen to dress up as one for the procession. Gai Jatra is believed to have begun in the 17th century when King Pratap Malla lost his son. His wife was inconsolable and her grief would not subside, so the King organised a carnival for all those who had recently lost loved ones. The large attendance showed the Queen that death was a natural part of living and that she was not alone in her sadness. Since then the festival has become an annual tradition.